Franco Vassallo is one of Italy’s leading baritones and has there been acclaimed at Teatro alla Scala di Milano, Teatro La Fenice di Venezia, Teatro San Carlo di Napoli, Teatro Regio di Torino, Teatro Carlo Felice di Genova, Teatro Comunale di Firenze, Teatro dell’Opera di Roma, Teatro Regio di Parma and at the Arena di Verona. 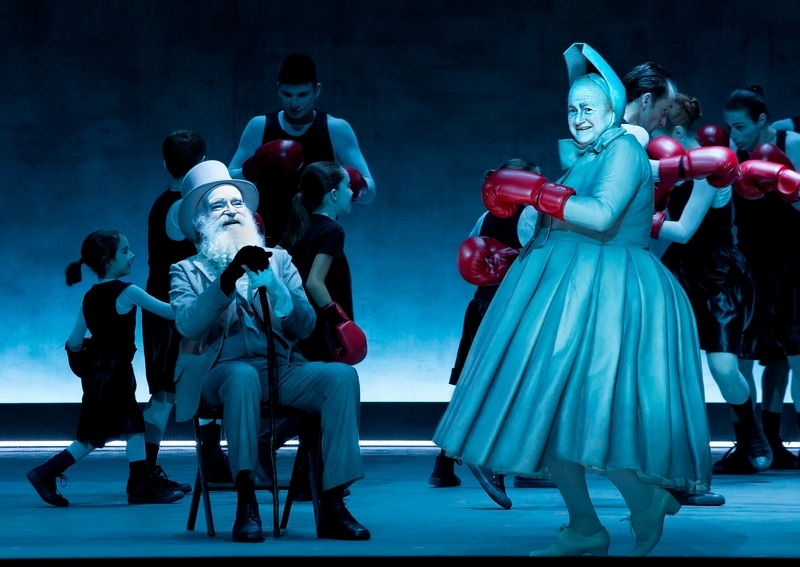 Highlights of the 12 /13 season included the new production of RIGOLETTO at the Bavarian State Opera in Munich as well as a new staging of MACBETH at Teatro alla Scala under Valery Gergiev. Franco Vassallo returned to the Metropolitan Opera in the fall of 2013 as Ford in the new production of FALSTAFF conducted by James Levine. In the summer of 2013, he starred in Zurich Opera’s revival of Bellini’s rarely heard LA STRANIERA along with Edita Gruberová. This production was also revived the following season. He returned to the Arena di Verona as Amonasro in AIDA. During the course of the season 2013/14, he starred as Count Di Luna in IL TROVATORE at Teatro alla Scala in Milan and as RIGOLETTO in Munich and Hamburg. He made his debut at the Teatro Real Madrid as Monforte in a concert version of I VESPRI SICILIANI. Vassallo opened the 2014/15 season in Geneva in September as RIGOLETTO, a role he also sang during the season in Munich. He made his debut at Theater an der Wien in LA STRANIERA and returns to the Royal Opera House Covent Garden as Germont in LA TRAVIATA, to Vienna State Opera as Amonasro in AIDA and to the Bavarian State Opera as the Duke of Nottingham in ROBERTO DEVEREUX. Current and future engagements include Amonasro in AIDA and the title role of RIGOLETTO at the Bavarian State Opera in Munich. In 2016, he will sing the role of Don Carlo di Vargas in a concert version of LA FORZA DEL DESTINO followed by the title role of FALSTAFF at Grand Théâtre de Genève and the title role of RIGOLETTO at Opera Bastille in Paris.